At Ben Porat Yosef, our early childhood curriculum rests on a firm foundation of research, reflecting new and innovative ways of teaching consistent with our philosophy that young children learn best by doing. Through active involvement with their environment, children develop new understandings and make sense of the world around them. Our curriculum revolves around the life cycle of the Jewish year, highlighted by extensive exploration and celebration of Shabbat and chagim. Small class size and favorable teacher/child ratios enable the staff to cater to individual social, emotional, physical, and cognitive needs, thereby ensuring the success of each child. Acquisition of strong pre-reading and math academic skills are naturally woven into the fabric of our curriculum through our unique developmentally appropriate approach to learning. All kindergarten classes are equipped with SMART Boards to further enhance learning and exploration in meaningful, individualized, and transformative ways. Young children learn through their senses. They need to see, hear, touch, taste, and smell in order to have the richest learning experience. In our program, children are given the freedom to explore, to learn, and to grow in a loving, nurturing environment. Activities, learning environments, manipulatives, materials, daily schedules, and interaction among the children are carefully orchestrated to accomplish the goals of our curriculum and give children a successful start in school. Play is the vehicle through which we are able to achieve the key goals of our early childhood curriculum. 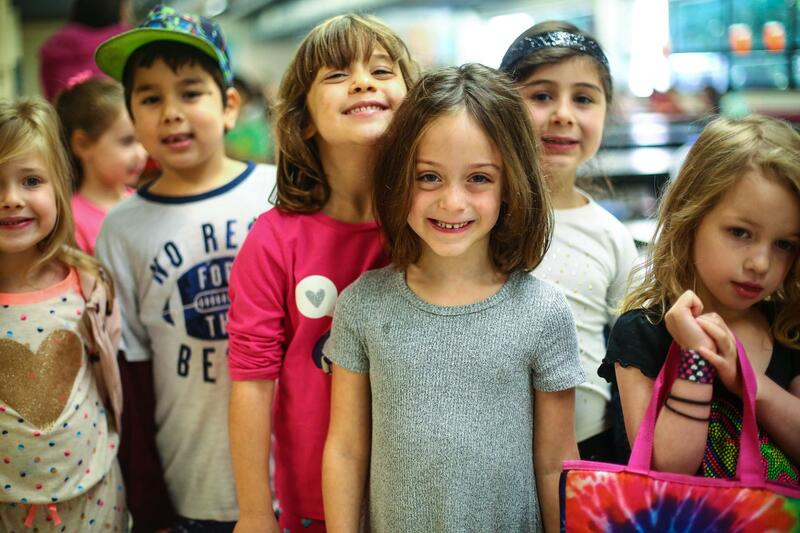 One of BPY's hallmarks is our unparalleled preschool Hebrew immersion program in which children are exposed to math, science, art, literacy, music, social studies, and Judaic activities through Hebrew language. Hebrew music plays in the background as our children work and play. Hebrew words fill our walls. Hebrew books sit alongside English books in our classroom libraries. A full-time Hebrew speaker staffs each class, infusing spoken Hebrew throughout the day in meaningful ways. Our children not only learn the Hebrew language; they learn how to learn in Hebrew. At Ben Porat Yosef, we teach the whole child. Our goal is to help children become lifelong learners by fostering independence, self-confidence, inquisitiveness, and enthusiasm. Middot, chesed, tefillah, and parashat hashavua merge with literacy, math, social studies, and science to create a fully integrated, child-centered learning experience. Being a Jew is not only something that we study; it is something that we live. By celebrating all elements of what make us committed halachic and Torah Jews, children develop ahavat Torah, ahavat mitzvot, ahavat Yisrael and medinat Yisrael, and derech eretz from a very young age. Please check out the video below for a peek into our Inquiry-Based Learning approach.